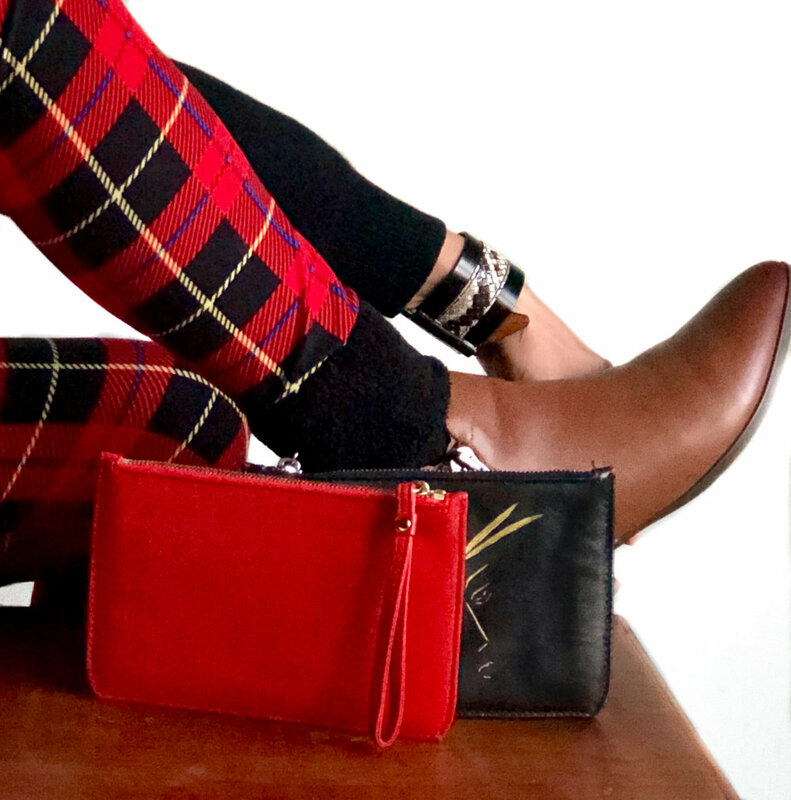 Evening or daytime, this roomy pouchette can carry your phone, your wallet, keys, and more! The Britt is made of supple, buttery lamb leather that is stitched in a striped or diagonal pattern on the front of the bag, with a solid color panel on the back. A zipper is inset at the top of the bag creating a soft, elegant look. Cotton canvas lines the interior. Wear the Britt with its removable cross-body length chain or loop the zipper pull around your fingers. 8.5" x 5.5" x 1"
Cranberry Leather with Burgundy Suede Stripes Front, Solid Cranberry Back. Camel Leather with Cream Leather Stripes Front, Solid Camel Back. Taupe Leather with Oatmeal Suede Stripes Front, Solid Taupe Back. Cranberry Leather with a Diagonal Burgundy Suede Panel on Front, Solid Cranberry Leather Back. Black Leather with a Diagonal Chocolate Leather Panel on Front, Solid Black Back.